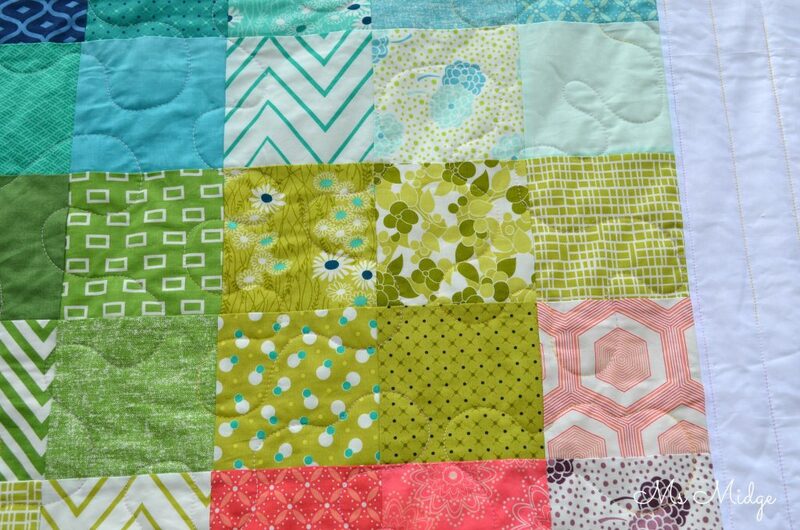 There is literally nothing more satisfying than a quilt that comes together super quick! 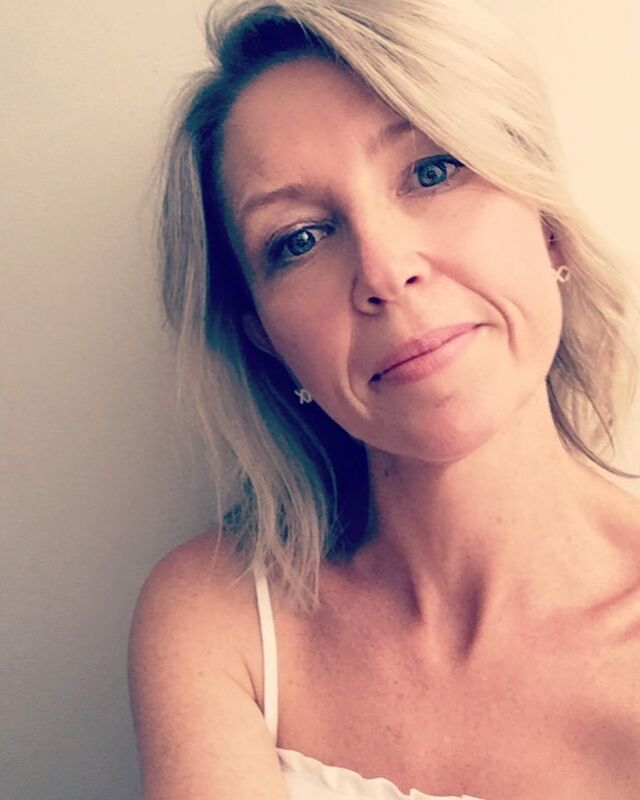 For this beauty, I dug out two gorgeous charm packs from V and Co – Simply Style and Simply Color. Once I had a rough idea of my rainbow, I added about a dozen of my own fabrics from my stash, surrounded it in a sea of white, and DONE! I’m a tad obsessed by rainbows at present, and think they are the perfect colour combination to brighten anyone’s day. I mean, how can you NOT smile looking at a rainbow of colour? I kept the quilting simple, to go with the layout. Meandering trails through the coloured block, and straight line quilting to finish out the white frame. I used the most gorgeous 28 weight variegated Aurifil thread – #4651. It’s a delicious mix of cream, white and lavender, and blends beautifully. I wish I could photograph it better! This pocket full of rainbow will be gifted to a very lovely lady very soon. 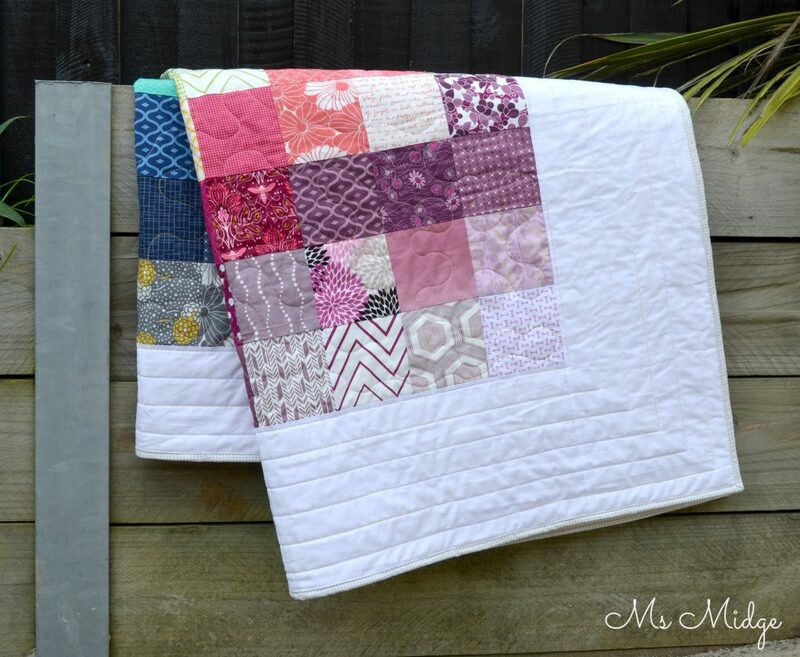 If you’re looking for a quick fix of quilting, get out those charm squares again! *** Just as a side note – I have had people on Instagram ask me how I get my seams to match so well on my quilts? (They’re not all perfect – promise!). I don’t have time to do my own tutorial, but the one HERE from Sew Mama Sew is great, and explains how to “nest” your seams. I hope that’s helpful! It’s adorable! 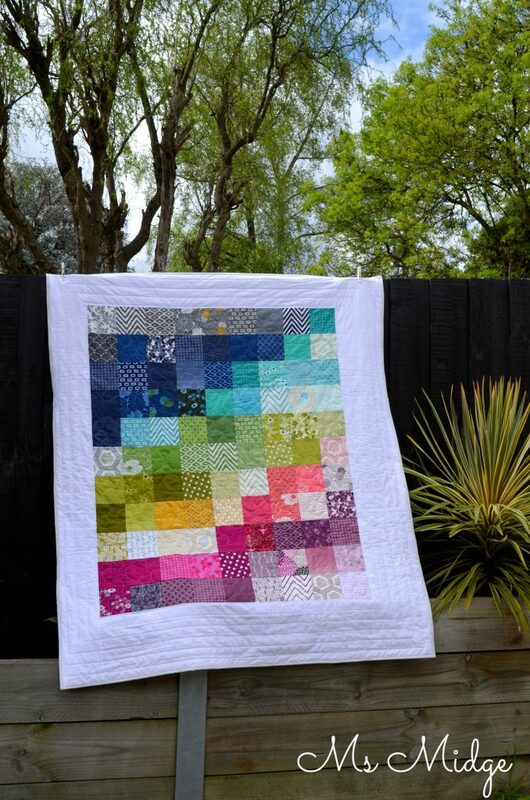 Thanks for the reminder that simple is often the most beautiful of quilts. 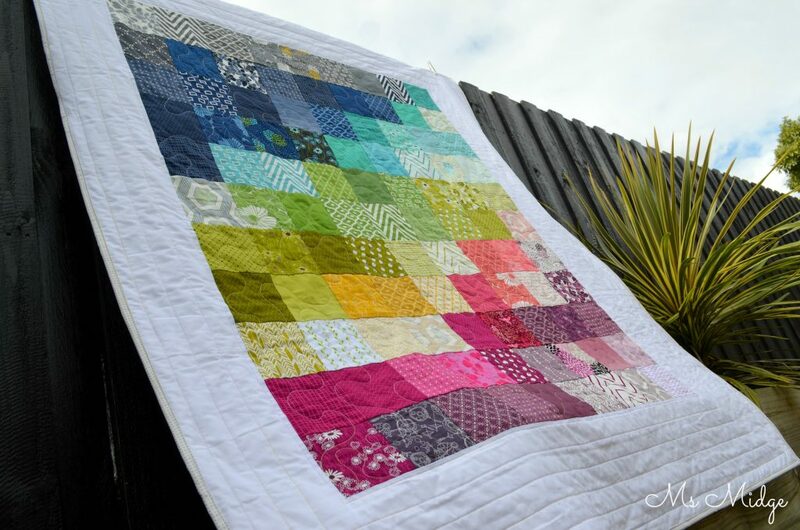 Feel free to link to Finished or Not Friday on my blog! Its very pretty. Love those colours too. Great with the wide border.